Buy wholesale cello bags direct from the Importer. Ultra Clear, with and without adhesive sealing tape. 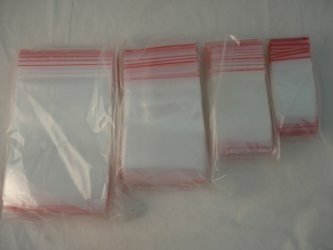 Cheap prices, packs of 500 bags in many sizes. Heavy duty, Suitable for seed beads. Heavy duty, Suitable for brushes and pencils etc.